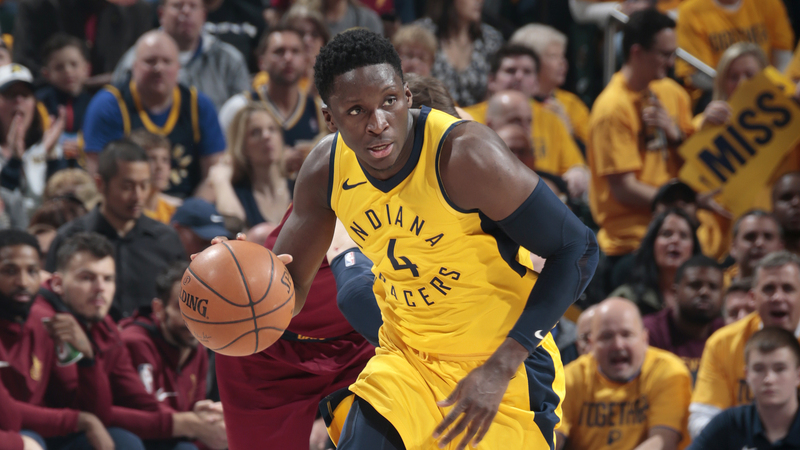 INDIANAPOLIS – Indiana Pacers guard Victor Oladipo Monday night was named the NBA's 2017-18 KIA Most Improved Player. Voting was conducted by a global panel of media who cover the NBA on a regular basis. 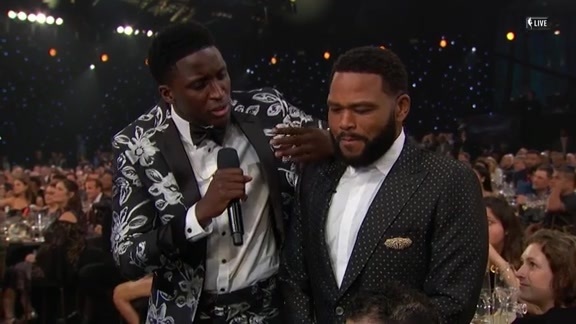 The award was announced Monday night at the NBA Awards Show in Los Angeles. 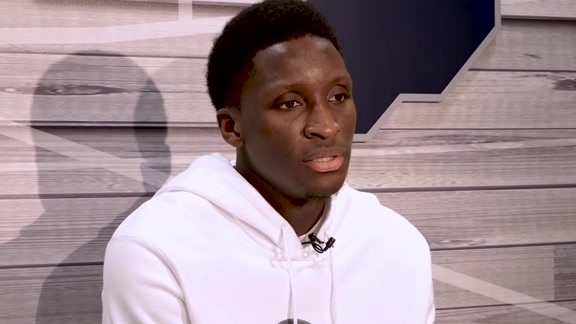 "I first would like to thank the voters," said Oladipo. "They follow the NBA closely, they have difficult choices to make and I appreciate that they recognized me for this. I want to thank the Indiana Pacers' organization for believing in me and what we could accomplish this past season. My teammates, coaches, training staff, I can't thank enough for making me a better player from the first day I arrived. We had a special group that I was proud to be a part of every day. "I share this with the Pacers, the City of Indianapolis and the State of Indiana. The support I received from everyone last season meant so much to myself and my family. An individual may win an award, but it is shared with many because they all had a part. This is only the beginning for us. The best is yet to come." 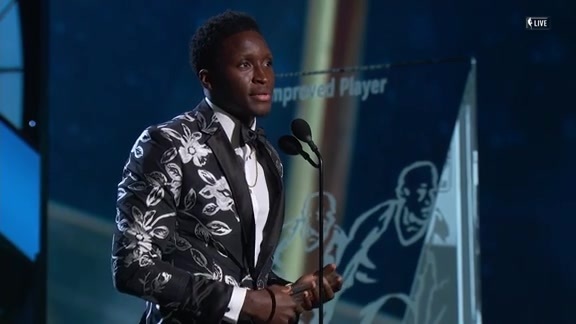 Oladipo, who previously this postseason had been named Third Team, All-NBA, and First Team, All-Defensive, becomes the fifth Pacers' player to win Most Improved, joining Jalen Rose (1999-00), Jermaine O'Neal (2001-02), Danny Granger (2008-09) and Paul George (2012-13). Oladipo averaged 23.1 points per game (ninth in the NBA), 5.2 rebounds, 4.3 assists and led the NBA in steals at 2.4 per game. He set career highs in nearly every statistical category and improved his scoring total by 63 percent from the 2016-17 season. He was also named an All-Star for the first time by Eastern Conference coaches in February. 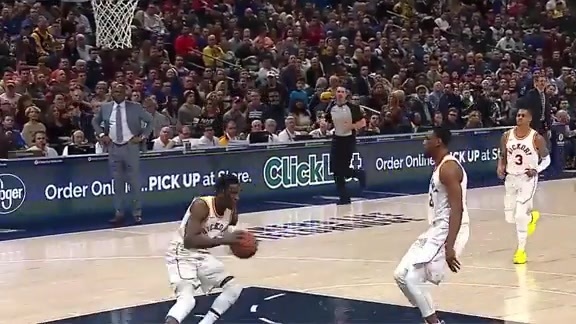 "I would like to congratulate Victor on winning the Most Improved Player Award," said Pacers President of Basketball Operations Kevin Pritchard. "It's an honor that is well-deserved and well-earned. The saying, 'hard work pays off' is epitomized by what Victor accomplished in winning this award. He set a tone for this team last summer that carried over into the regular season and this not only recognizes his personal achievement but what he did to help our team win."